I have two kitchen items that I rely on consistently. I would hesitate to call them gadgets, they are more like my mainstay appliances, especially for all the fruits and vegetables we eat. The first is my Vitamix. At first I thought it seemed silly to spend hundreds of dollars on a blender. But, I use it almost every single day, and sometimes twice a day. I can pulverize nuts into milk or butter, make soups, sauces, ice cream and smoothies so easily and quickly. I bought mine refurbished at a Whole Foods demo for much less than a brand new one. It looks brand new and has a warranty, recipe book, etc. It can be a little intimidating with it’s power- but I find that is a good thing since it keeps other people from using it! The clean up is so easy- just blend some dish soap and water to clean it. It is awesome, and everyone who has it swears by it. Only downside is also why it is amazing- it is so powerful! I may need a food processor as well for some recipes. It is easy to over-process food in there and start making peanut butter when you just need to grind up nuts, or turn salsa into soup. That may also just be user error, hmmm. I thought I had broken it once when it turned off suddenly, but fortunately, it was the built-in feature that will shut the machine down rather than let it overheat. After it cooled down, it was fine. 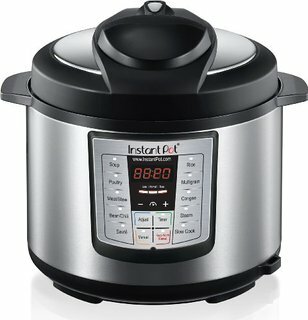 The other tool I use the most is a recent purchase: the Instant Pot. I don’t remember how I heard about this. It is an electric pressure cooker that allows me to make beans, rice, lentils, soup, slow cooker recipes, steel cut oats, vegetables in record time. It also seals in their flavors while cooking in a way that makes everything taste better. I’m still earning to use it, but I have been using it almost every day as well. Apparently, you can even make yogurt in the model that I chose. It speeds cooking time by 2-10 times, and reduces energy use by 70%. I chose the DUO60, 7 in 1, 6 Qt model. I think if you don’t need the yogurt function and make smaller quantities, you could get a less expensive one. 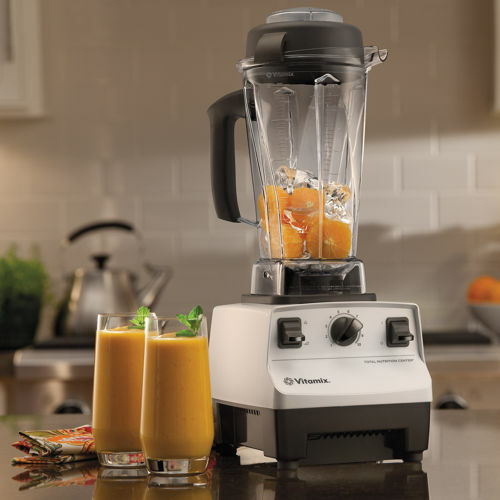 It wasn’t cheap- but much less than the blender- around $100. I am really enjoying it, and how much easier it makes cooking. My mother-in-law gave us a stove top pressure cooker years ago but I never used it. I was afraid of the metal thing that was shaking, and stuff whistling, all the different movable parts, and fear of a giant explosion (which does happen). The electric one has safeguards in place to ensure that you can’t remove the lid while it is under pressure. There is an Instant Pot Vegan Facebook page with recipes, and a lot of Indian cooking uses this method (my favorite). I’ll probably start posting some recipes from my Instant Pot. Basically, the only drawback I have seen so far is that you have to learn how long things take (always refer to a book). Since you can’t just peek in while it is cooking, you can under cook or overcook vegetables. It has the sauté feature at the beginning, which allows you just to cook onions or something with the lid off first. One of the best features is that it is very easy to clean- just one stainless steel pot. I hope to get some vegan pressure cookbooks to try next month and will update this post with my favorites. My mom is the Queen of Kitchen Gadgets. Many have been very helpful, like the Vidalia Chop Wizard. 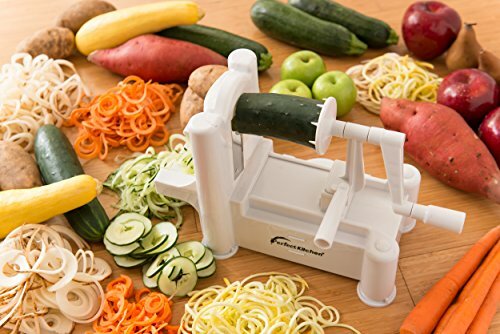 She has a pasta maker, mandolin, juicer, everything… Her latest recommendation is the spiralizer to make raw noodles, curly fries, etc. I will find out what brand, but it is a way to make eating vegetables very attractive. What is your favorite gadget/tool that makes your life easier?